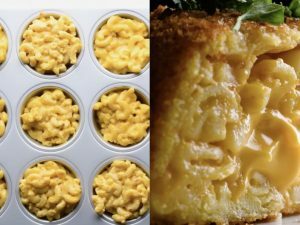 Cheesy acorn squash is a wonderful recipe for those who love their vegetables. This is a pretty easy dish that can be enjoyed as such or with the bowl of light soup. This recipe is very low in carbohydrates and loaded with protective vitamins and minerals. Place one half of the acorn squash cut side down in a glass dish and microwave it for about 5-6 minutes until the squash is almost tender. Meanwhile, in a pan heat butter until it melts. Add onion and garlic and cook for 2 minutes or until onion turns transparent in color. Season the onion with salt and black pepper powder. Give it a good stir and add parsley to the mixture. Turn off the heat and let the mixture cool down a little. Remove the acorn squash from microwave and let it cool for 2 minutes. Spoon the mushroom mixture in the hollow cavity of acorn squash. Top the vegetables first with cheddar cheese and then with processed cheese. 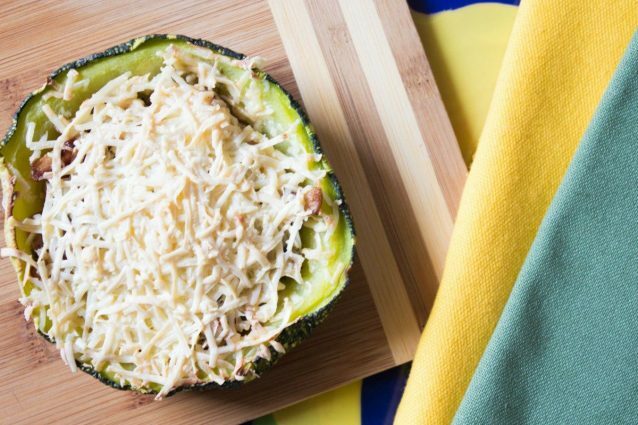 Place the acorn squash on a baking tray and let it cook in the preheated oven for about 5 minutes or until the cheese melts a little. Do not over cook the vegetables else you will get a pulpy mash after baking the acorn squash. Be careful not to over cook the acorn squash in the microwave and in the oven else the squash will not able to hold to its shape and will sag. 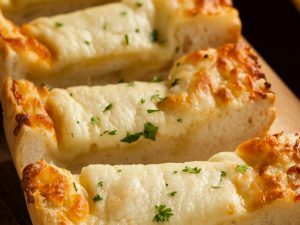 You may replace processed cheese with equal amounts of mozzarella cheese as well. Add 2 tablespoons of roughly crumbled feta cheese to the mushroom mixture while cooking in the pan at the last 30 seconds to get an even cheesier version. If desired you may bake the squash until the top turns golden brown in color. You may even prepare this recipe until step 7 up to a day in advance and then resume from step 8 before you plan to serve.